Former chairperson of Malawi National Council of Sports and now leader of opposition in parliament, Lazarus Chakwera has congratulated Football Association of Malawi (FAM) president Walter Nyamilandu for being elected as FIFA Council African Anglophone member during an elective congress held on Sunday in Egypt. Chakwera said in statement signed by his Malawi Congress Party (MCP) publicity secretary Reverend Maurice Munthali that his party has received the news with "invaluable delight, pride and hope." He said: "This is because Walter Nyamilandu is one of our own sons whose passion for sports, and soccer in particular, has seen him being elected to such a noble and influential office with the international soccer body." Chakwera added: "We are proud because his appointment has put Malawi on the map within the soccer world. Knowing that the FIFA Council is a strong decision-making body, Malawi stands to benefit a lot from it with the presence and influence of our own Walter Nyamilandu Manda at the helm of the institution." He called upon the general public to seize this opportunity by supporting Walter Nyamilandu in every way possible so that he fulfils his duties satisfactorily for the good of global soccer and Malawi's pride. "The role Walter Nyamilandu has assumed at FIFA as Council member is not personal to holder; hence we should not be tempted to dispel the hope his membership can bring us as a nation by limiting ourselves within the period Walter Nyamilandu has served as FAM President. "We believe that through this influential position Walter Nyamilandu has assumed, the sports glory which we lost for well over two decades will come back. This is one reason the Malawi Congress Party is so hopeful that the success stories and achievements that the nation was registering during the MCP rule in terms of soccer will be reclaimed. "Malawi Congress Party is specifically calling upon the Government through the Ministry of Labour, Youth & Sports to fully support Walter Nyamilandu and the soccer sector as well as all sporting activities in this country given that this is one sector that actively engages our youth socially, physically and morally. The party says once voted into government it will do all it can to ensure that all forms of sports are revamped and promoted and that the sector receives due financial attention. "It is high time the sports sector in this country graduated to professional status and recognition. Once again, congratulations to Walter McMillan Nyamilandu Manda for the honour bestowed upon you." Congratulatory messages poured in for Nyamilandu through social media. Times media group put a poster advert, saying: "You have made history by becoming the first Malawian to scale such great heights in football administration. We are proud of your achievement and wish you success in your new role." Nyamilandu beat South Africa Football Association president Danny Jordaan by 35 votes to 18. He was first up against Jordaan and Tanzanian Leodegar Tenga and Nyamilandu collected 23 votes, Jordan 16 and Tenga 14 but there was no majority. A second round was then declared between Nyamilandu and Jordan that saw the Malawian beat the majority rule. 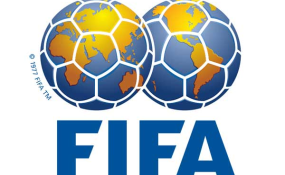 The FIFA Council, formerly called the FIFA Executive Committee is an institution of the world football governing body whose mandate is to make main decisions of the organization in the intervals of the FIFA Congress. The Council is a non-executive, supervisory and strategic body that sets the vision for FIFA and global football. The African Anglophone position fell vacant after the resignation of Ghana Football Association president, Kwesi Nyantakyi.